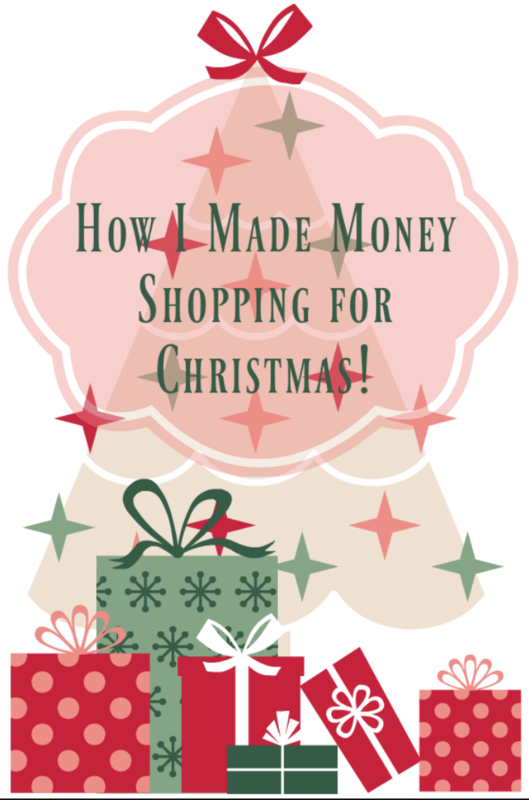 This week I have shared my love for making money back on things that I am buying anyway for the holidays. I want to share with you, in a little more depth than 6 seconds on my Instastories, just how easy it is to get cash back for shopping this holiday season! While I am perusing the sales and my e-mailbox, because I am bombarded with the crazy sales from all of my favorite stores, I make a list of the stores I want to shop at and sales I want to take advantage of. Then I head over to Ebates by clicking the button below. EBATES is very simple to use. You go to the website using the button above and sign up for a free account (because they need to know where to send you your BIG FAT CHECK). After that, you enter the name of the store you want to shop at in the search bar, it takes you directly to the store’s website and it opens a ticket for you to track the amount you spend so they can give you cash back. There is no limit. Just keep shopping at store after store. Right now, if you make an account AND make a purchase, you will get an extra $10 back on your next check! There is no catch! It is just that simple! AND….you can shop like this all year long on your account! It’s not just for the holidays. You can continue to get cash back from the stores you shop at! Even Amazon and Walmart. It all adds up!! Different stores offer different percentages back to you. On Black Friday Macy’s, along with others, was offering 10% cash back! You still get to take advantage of the sale prices on the website just as if you went directly to the site using your browser bar. Not EVERY store is on EBATES, but most of the ones I shop at are. I was able to shop at Anthropologie, Macy’s, Kohl’s, Amazon, Alex & Ani, Northface, Banana Republic, Baublebar, Lowe’s, Target, Sam’s Club, Overstock and so many more….. Ordering Holiday Cards? TinyPrints is on there! I just got an email letting me know that one of my favorite stores is offering DOUBLE CASH BACK today. So, I will head over and check it out! Also, some of the items available on my Gift Guides for Teen Boys and Teen Girls are available through Ebates. One Christmas I made $120.00 back and so far this year I have made $70+. Just for buying the items I am buying anyway! I don’t have to find a parking space or fight any crowds. If you do want to go to the mall, just add the credit card that you will be using to your account in EBATES and when you shop in the brick and mortar store, you can still earn cash back just because you have signed up! No catch! I just wanted to let you know about this and make sure you all are taking advantage of EBATES. So many of my friends have never heard of it and they want to know where this has been all their lives! Now, click that button and make some money! Peace!